Who doesn’t love takeaway? 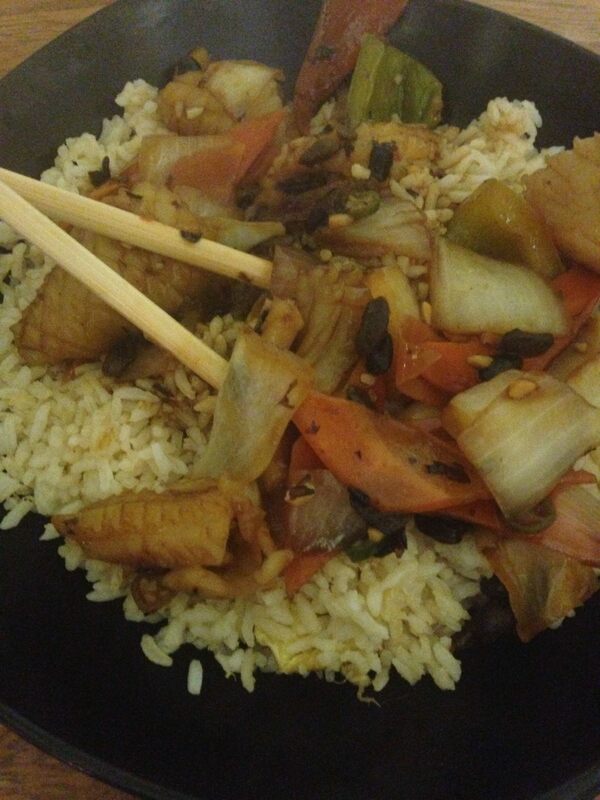 Whether it’s Chinese, Indian, Japanese, Greek, chippy tea, or something equally delicious, takeaway is perfect when you’re craving great food without the fuss. So, I was excited when hungryhouse got in touch and asked whether I wanted to celebrate Chinese New Year, by ordering some food from one of the many Chinese takeaways on their website. Fast forward a couple of days, and I invited some friends around and placed an enormous order from China House on Abbeydale Road. 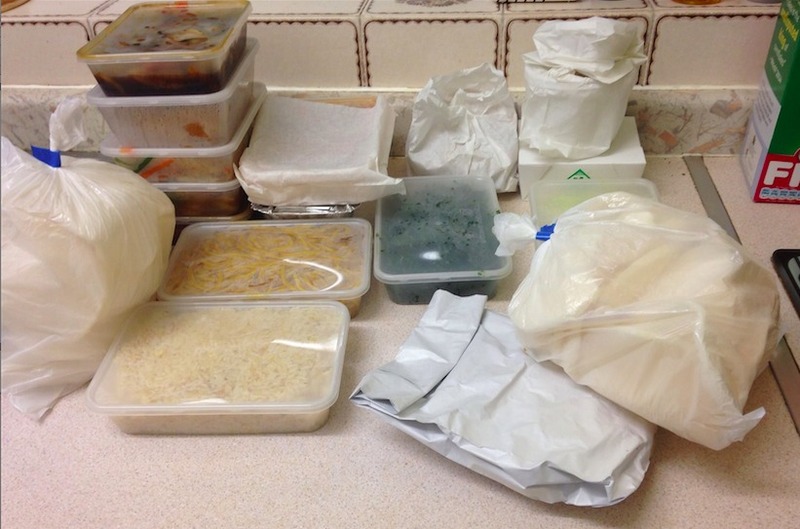 The hungryhouse ordering process was quick and easy, and despite the fact that I was ordering a massive amount of food on a Saturday night, our order arrived on time and everything was piping hot. What’s not to love? Before I start, just look at how much food £50 gets you at China House. Just look at it. With so many bags and boxes to choose from, the only difficult part was deciding what to eat first! 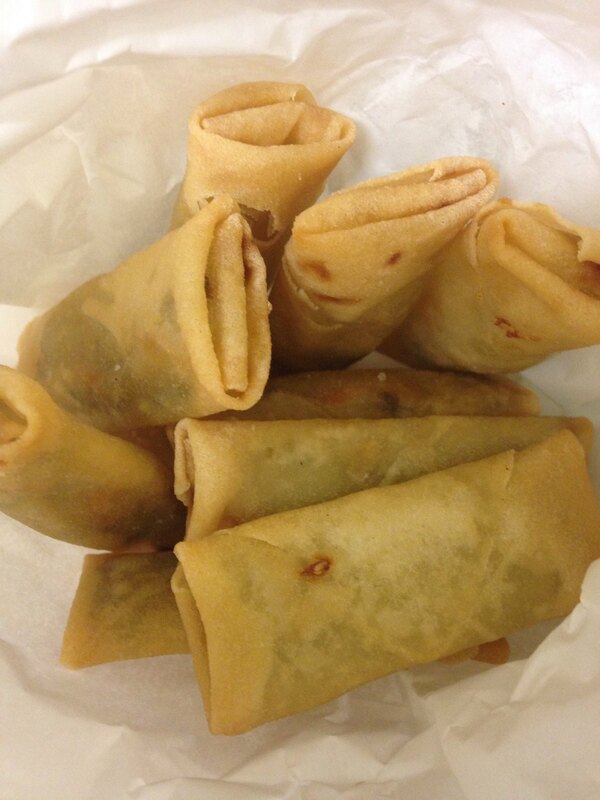 We kicked off our feast with a true Chinese takeout classic – spring rolls. China House offers meat and veggie-friendly versions; we opted for spring rolls of the vegetarian variety. (£2.20). These were everything you want from spring rolls – crunchy on the outside, and soft and creamy on the inside. Delicious! Since we’d agreed to share everything, this single portion of spring rolls disappeared in no time, which was annoying because I wanted more! Next time, I’m ordering my own spring rolls, and I’m not sharing them with anybody. With so much food on offer, we decided to get creative and combine some of the dishes, which was how I ended up with spring rolls served on a bed of crispy seaweed (£2.50). 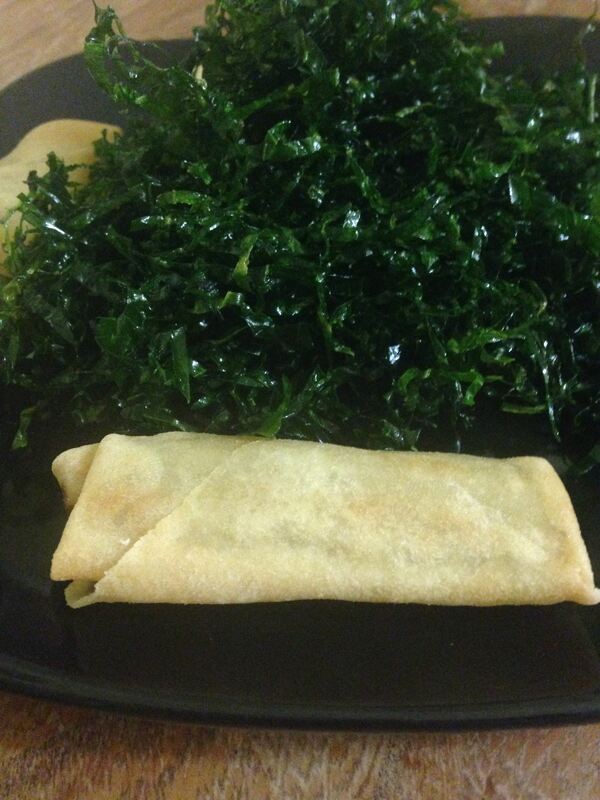 In all honestly, it hadn’t been my idea to order crispy seaweed. When I hear the words “crispy seaweed,” I immediately think of fried, sugary cabbage. But China House’s crispy seaweed turned out to be light, and not in the least bit sugary or greasy. It’s always a nice surprise when you enjoy something you weren’t looking forward to! 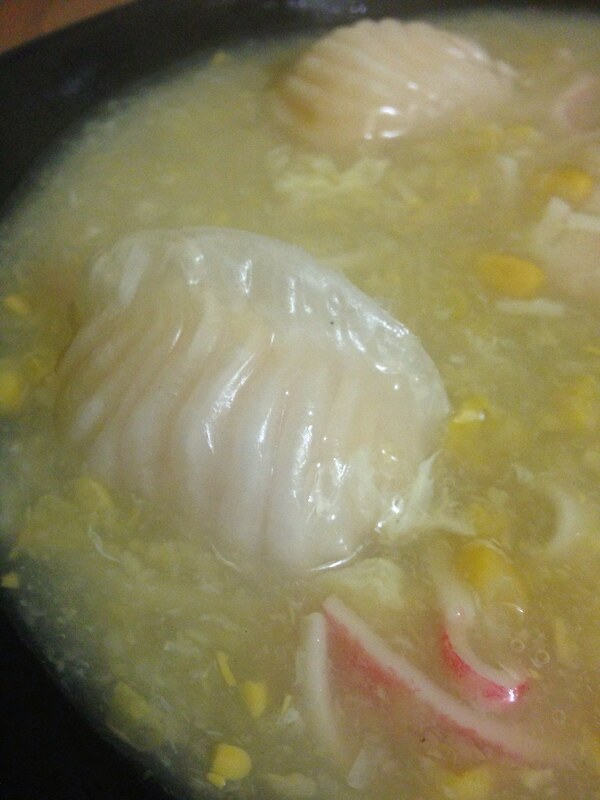 Next up, was king prawn dumplings (£2.50), which we decided to serve in the crab meat and sweetcorn soup (£1.80). I’m not really a fan of the slippery texture of Chinese-style dumplings, but in the interests of trying everything, I gave these dumplings a whirl. 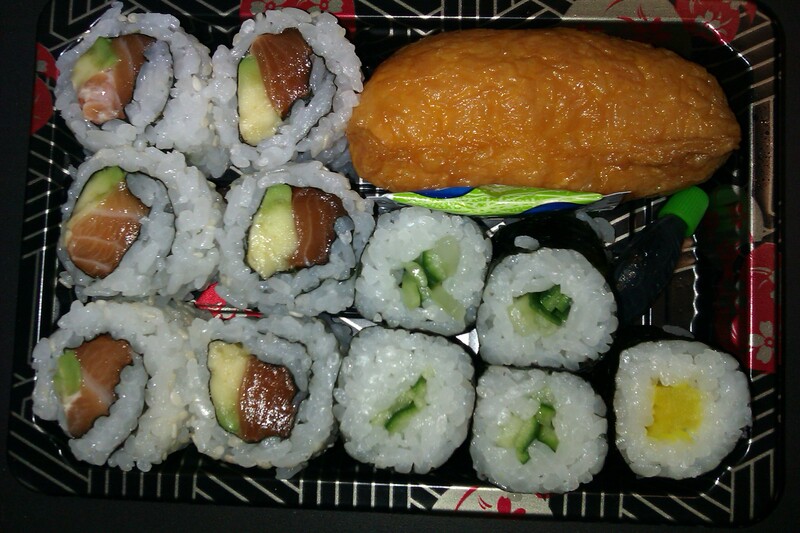 I’m still not sure about the exterior, but I loved the juicy king prawn filling. The good thing about placing such a large order and sharing it amongst a group, is that it encourages you to try things you wouldn’t normally order. Case in point, the crab and sweetcorn soup. Soup isn’t something I immediately think of when I think of Chinese takeout, but I like crab and I like sweetcorn, so I decided to add some soup to out order. 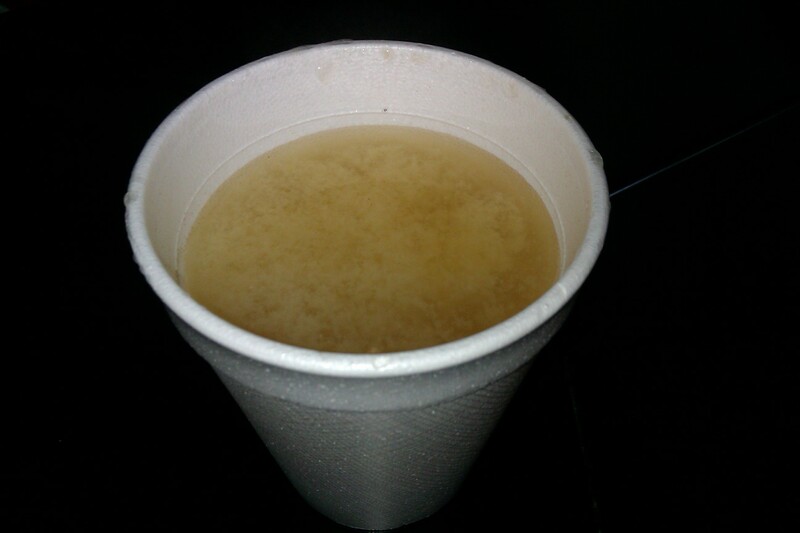 For £1.80, the crab and sweetcorn soup had a thick, almost stew-like consistency, and was packed with flavour. China House, you’ve made me rethink my stance on crispy seaweed and takeaway soup! My Friday night takeaway may never be the same again. 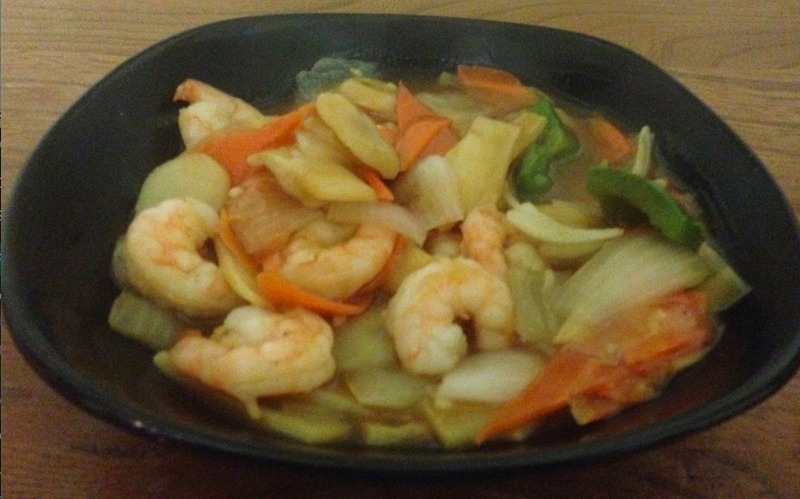 Next up was another Chinese takeaway classic – chow mein. For £2.50, China House’s chow mein is a super-sized portion of pure comfort food, that’s easily big enough to share. 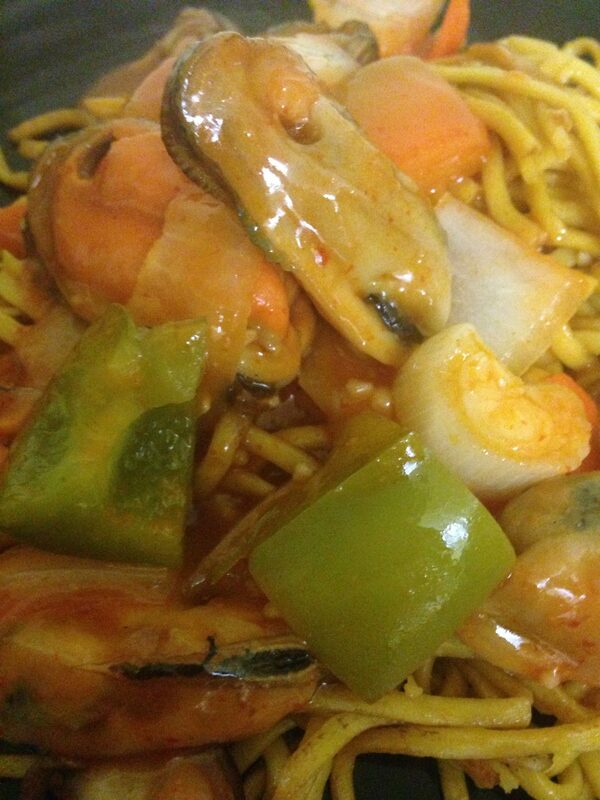 I ate my chow mein with some mussels in garlic and sweet chilli sauce (£4.20). I had one issue with the sweet chilli mussels – and that was the sheer strength of the chilli! There’s nothing sweet about this sweet chilli sauce, and the heat only got stronger with each mouthful. I love spicy food and it’s rare that I complain about something being too hot – but this was way too hot! Now, what Chinese feast would be complete without egg fried rice (£2.00)? China House’s egg fried rice didn’t disappoint! It was actually a bit lighter than your typical egg fried rice, which meant I could eat more of it – definitely a good thing. The egg fried rice made the perfect base for some squid and green peppers in black bean sauce (£4.00). The squid was tender and tasty, and the crunchy veggies had soaked up lots of fiery black bean flavour, so they were every bit as tasty as the squid. Once again though, China House were heavy with the spice. My advice? If you see a ‘hot’ warning next to a meal on China House’s menu, take it seriously! These guys aren’t messing around when it comes to spice. Thankfully, the next course was a chilli-free zone, as I tucked into a serving of king prawns and cashew nuts (£4.50). The sauce was sweet and thick, with a honey-like consistency, and the cooking process had given the cashews a really strong, earthy flavour and a lovely crumbly texture. I’d definitely order this again. In fact, I’d order anything from China House that has cashews in it. Next up was a double whammy of salt and pepper squid (£4.00) and salt and pepper king prawns (£4.00). Of the two, my favourite was the squid. 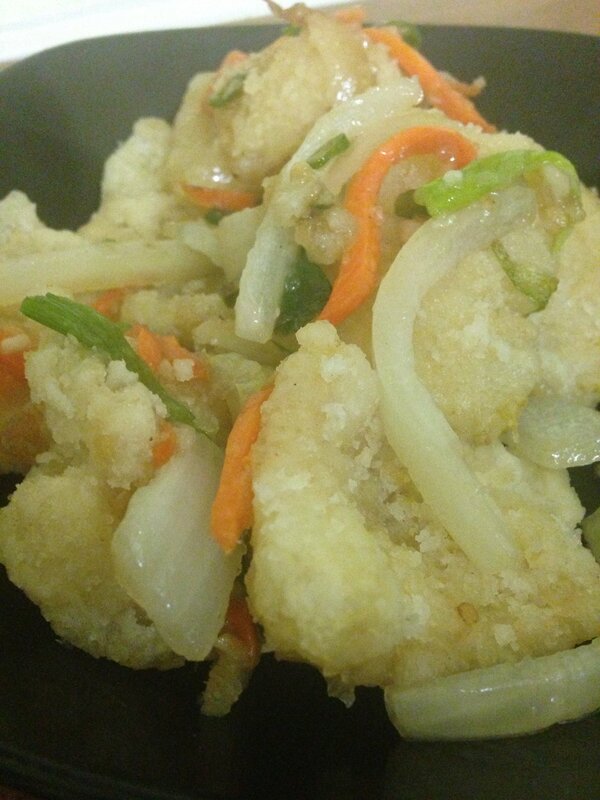 China House’s salt and pepper batter is like an extra-light, crumbly tempura, which I loved, but the prawns themselves didn’t have much taste. 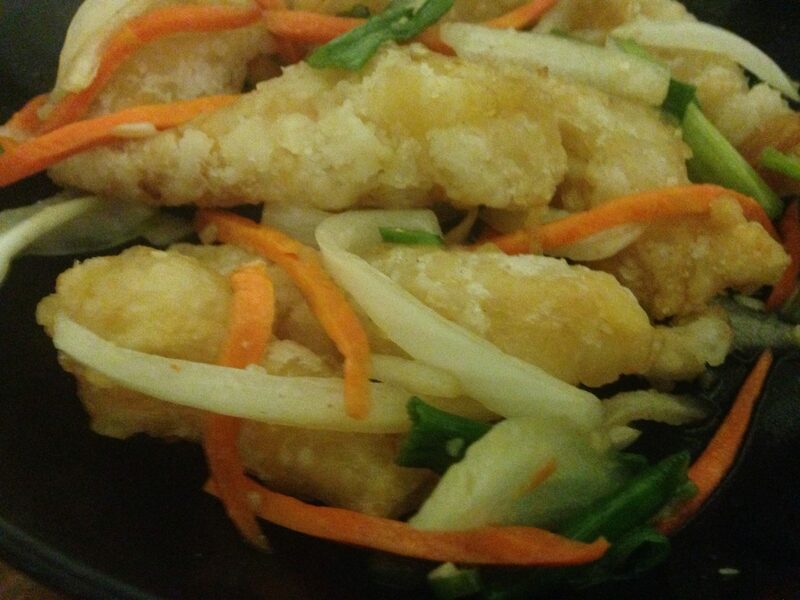 The salt and pepper squid was much nicer, and it had that perfect salt and pepper taste, which had been missing from the prawns. The next time I order from China House, I’ll just get the squid. Next up, was a Chinese takeaway staple: crispy duck pancakes (one quarter, £6.90). 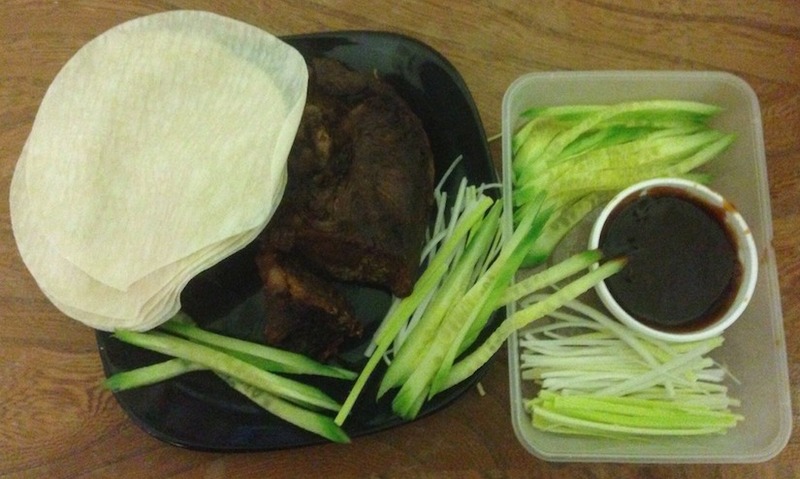 For £6.90, you get a good amount of duck and lots of spring onions, cucumber and a big pot of hoisin sauce. The hoisin sauce in particular got a big thumbs up, as it was thick and rich. 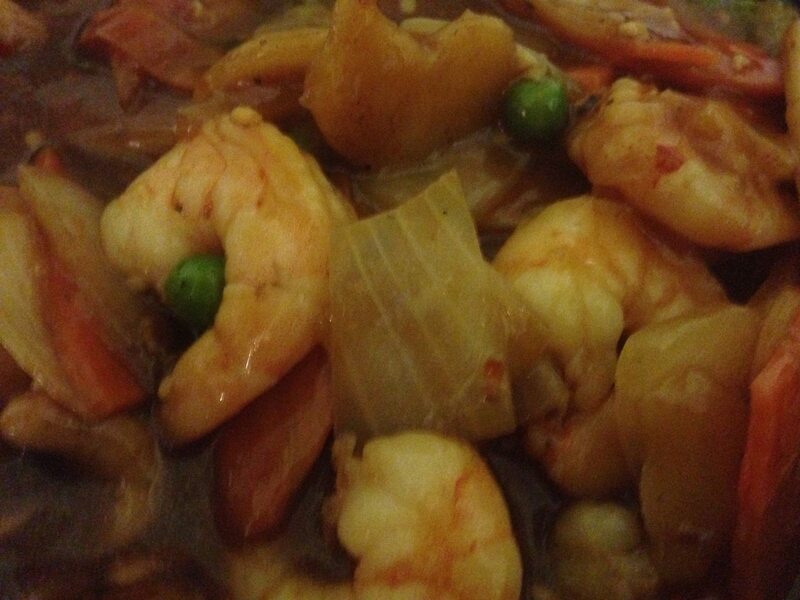 Pushing forward, it was time for some king prawns with bamboo shoots and water chestnuts (£4.50). To me, nothing screams Chinese takeout like water chestnuts and bamboo shoots. I can’t remember the last time I ordered these two ingredients from a Chinese restaurant, so I was really looking forward to this part of the meal. China House didn’t disappoint, serving up lots of crispy water chestnuts, sweet bamboo shoots and juicy prawns, in a light sauce that didn’t overpower the other ingredients. I’ll definitely be ordering this one again! By this point, I was feeling pretty disgusted with myself, but there was still pudding to go! China House’s banana fritters (£2.50) are very soft and incredibly sweet. I don’t think I could have eaten more than one or two of these, but splitting a single portion was a nice way to end our super-sized Chinese feast. This was the first time I’ve ordered from China House, and overall everyone was happy with the quality of the food. I would have preferred less chillies in my black bean and sweet chilli sauce, but I can highly recommend the crab and sweetcorn soup, spring rolls, egg fried rice, and king prawn with cashew nuts. Thanks to Hungry House for arranging for us to sample so much lovely Chinese grub! To celebrate Chinese New Year hungryhouse has dived into the food and the traditions of the festival, to create an interactive guide to help you stage your own Chinese New Year takeaway feast in the comfort of your own living room. The guide includes information on New Year traditions, foods, a special Chinese do-it-yourself cocktail recipe, and it also features step-by-step instructions for people to make their own funky Chinese decorative lanterns to really get into the spirit of Chinese New Year! To celebrate the launch of the guide, hungryhouse are asking people to make a lantern and then share a photo of it on twitter or instagram with the hashtag #hungrylantern. hungryhouse will then pick their 10 favourite pictures and award each winner a £25 hungryhouse voucher each. The competition is now open with winners being selected on the 19th! 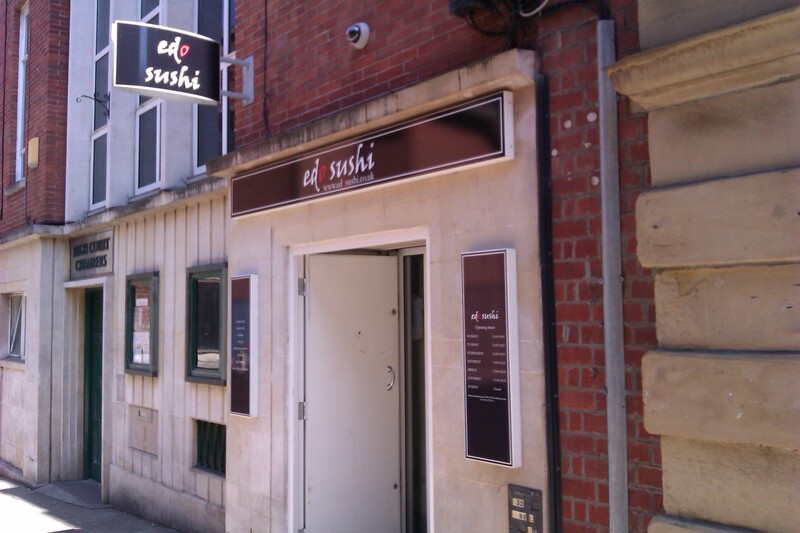 So get your chopsticks out, dive into the guide, and get snapping for your chance to win some free Chinese food!